Browse our top deals for April 2019, or learn more about getting a loan below. Updated: 1st April 2019. Authors: Matt Jackson & Andrew Craig. A personal loan is where you borrow a set amount of money from a lending provider / bank, and agree to pay them back the amount + interest in certain instalments. The benefit to you is that you get the cash upfront, the benefit to the lender is that they make money from the deal. A personal loan is an unsecured loan, which means you are personally responsible for the amount, as opposed to a secured loan where you use valuables as “insurance” to the lender, so that if you cannot pay they can get their money back through that. A guarantor loan is where someone you know well “guarantees” your loan, which effectively means they take full responsibility of the loan if you cannot repay the full amount. This works well when they have a better credit rating than you, as it gets you a better interest rate than you would do on your own, particularly if you have a bad credit score. A secured loan is where you use a valuable item such as your home to act as security or “insurance” for a new loan. This helps you get a better interest rate and borrow more money, because it is less risky for the lender to give you a loan, as they know if you cannot repay the loan they can repossess the security asset to compensate the loan. A mortgage is usually a large loan that’s taken out in order to purchase a house. The mortgage rate is the interest rate you get on the loan, which can either be fixed for a period of time, or variable depending on the Bank of England interest rate. The deal you can get depends on how much money you need to borrow, how much deposit you pay, and your credit history. A payday loan is a short term loan with very high interest rates, where you pay the majority of the money back at the end of the loan contract period. They are usually smaller loans too, with amounts varying from £100 to £2,000. How to choose the best loan for you? Whether you are comparing mortgage loans or unsecured loans, there are important key aspects that you need to consider in the process in order to find the best loans for your situation. Start by looking into the interest rates of the loans that you are comparing. Comparing interest rates can help you get a good picture on which loan is the best for you. Do keep in mind that you need to look into not only the base interest rate but also the APR (Annual Percentage Rate) and net interest rate if you want to truly understand the costs of the loan. You also need to work out the amount of money you need to allocate on loan repayments. Two loans with the same interest rate and loan term can have different monthly payment amounts, mainly because the calculation method and associated costs for the loans are different. You also need to make sure that the monthly payment amount is well within your budget; you are avoiding future problems this way. Aside from the payment amount, you may also want to calculate the total amount you repay as well as the total charge for the loan. This will help you see if the loan costs too much. A £10,000 loan of 5 years with 6.6% interest rate means you will be paying a total of £11,714; the total cost of the loan is £1,714, which means the APR is around 14%. Continue by looking into exclusive offers and special bonuses in order to find the best loans. This is the key to finding the best loan. Depending on the online loan search and comparison tools you are using, you may find exclusive offers and discounted rates as well. These special offers can really reduce the costs of taking out a loan substantially, so they are indeed worth looking into. You can also find additional bonuses and rebates when you apply for the loan through one of the best online resource centers available today. Having a bad credit rating can influence what loan interest rate you can get. Don’t forget to also compare the lenders. Although the loan deal might be the best on the market, taking out a loan from a shady lender could lead to a series of severe problems along the way. Be sure to deal with only a reliable and reputable lender. You can consult the FSA (FSA.gov.uk) to find out more about registered financial institutions. Last but not least, check the terms and conditions attached to the loans you are comparing. It may seem like a complicated task to complete, but you will be able to pick the most beneficial loan that really protects your interest this way. Don’t hesitate to contact the lender or loan broker directly if you find points in the terms and conditions that you don’t understand. 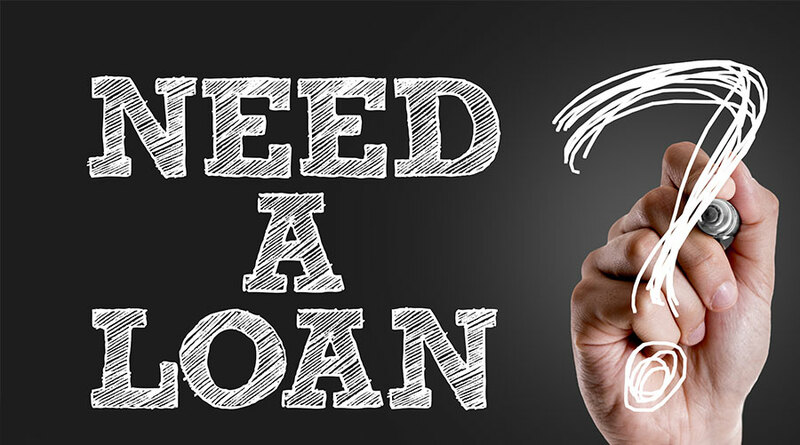 Now that you know the necessary aspects to compare when looking into loans, you can find the best one to take out without a problem. You can view the Best Loans privacy disclaimer here. 4. What is loan insurance? An insured loan is where you pay a bit extra to protect yourself if you cannot repay the loan. This is known as payment protection insurance or PPI for short. PPI is known famously for being miss-sold to people without their knowledge, and there have been many law suits connected with it since. To make the most of PPI you need to know how much cover you need, as not all protection is the same. There are some policies that won’t cover you if you’re self employed, whilst if you’re unemployed you won’t need to have out of work cover. It’s often cheaper to get a stand alone PPI provider instead of paying for it included within you loan, as the loan provider is probably taking a commission on that. Be wary of the terms and conditions of a debt consolidation loan, as they often just extend the duration of your loan instead of reducing the total amount. You want to look at keeping the same loan term but reducing the total amount of interest paid, as this will truly consolidate your debt. One of the most popular ways to do this is to use balance transfer credit cards. You should also be careful that the new consolidation loan isn’t linked to your home through security. What if they won’t lend me enough to cover my bill? You can often apply for another loan to supplement the one you’ve been accepted for. Never refuse the loan, as the mark is already on your credit file so you may as well use the cash for something (unless the interest rates are truly terrible). What will happen if the Bank of England change their interest rates? Almost every personal loan will be fine in this case because they will have fixed interest rates that were agreed to on application. It will affect people who are on a variable rate mortgage, and it will affect people looking for a new loan. Does a recession change interest rates? During the financial crisis or credit crunch lenders will often be less likely to let you borrow money because they’re trying to reduce their risk. However if you have a good credit rating then you will often be able to get a very good loan under these circumstances. How quickly can you get a loan? The speed of money from a loan provider varies depending on who you apply with. If you want a really quick application process for fast cash then you will often end up paying a lot more for the privilege. Some loan companies will have an option to upgrade to speedy delivery for a fixed price. Best Loans is a financial advice website found at the address bestloans.net, and it aims to provide the latest and best financial information on loans (and other deals such as mortgages and credit cards) to UK consumers, to help them make smarter decisions with their money. This comprises of deal comparison pages, and informational articles, with faq’s about topics such as credit scores and paying off debt. We also provide glossaries for key term definitions, the latest news in consumer finance, and calculators / tools to help you work out deals based upon your own unique financial information. You can find more about Best Loans here. If you want to get in touch with the editorial or company team here at Best Loans, then we provide two simple ways of doing this. The best way is by email, which is answered twice per day, but on the off chance that you prefer to speak in person, we can answer the phone between 9 am and 5pm GMT Mon-Thurs. Don’t hesitate to get in touch with the Best Loans team about any issue or proposal you might have. You can contact the Best Loans team here.